Telford & Wrekin Council have teamed up with Shropshire Fire and Rescue Service to make sure vulnerable adults, including the elderly, disabled and people living alone - are getting the support they need. Firefighters visit more than 3,500 homes each year to conduct fire safety checks and to give advice to vulnerable people. As a result, firefighters are well placed to talk about health and wellbeing concerns that people have and to put them in touch with local services for further help and support. Through a new project called “Safe & Well,” Firefighters will be able to formally raise concerns in a quicker and more efficient manner. Firefighters will be able complete a simple form through Safe & Well visits that automatically notifies appropriate organisations - ensuring that no issue is missed. Telford & Wrekin’s Public Health team have worked closely with Shropshire Fire and Rescue Service to help develop Safe & Well. 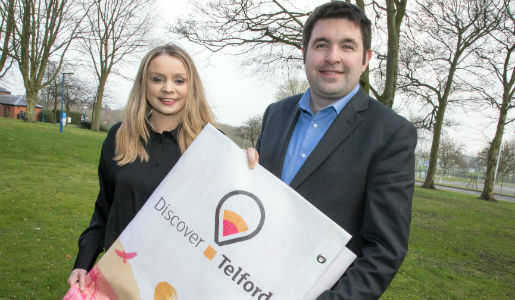 The team identified that smoking and healthy lifestyles, fuel poverty, falls, and social isolation were some of the biggest risks faced by Telford’s vulnerable people. By helping people access reputable, free and local support in these areas firefighters can help to reduce their risk of fires in the home and help people to achieve a better quality of life at the same time. A Safe & Well vehicle will be visiting fire station open days and other events throughout the summer to promote the new scheme.